Super Lawyers - The Pearce Law Firm, P.C. 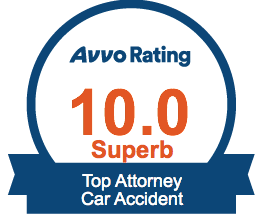 The rating service known as Super Lawyers recognizes the “best of the best” in the legal profession. To be listed as a Super Lawyer requires passing a three-step vetting process that includes peer nomination, independent research, and peer evaluation. Making the cut is the mark of an attorney that is widely respected by his or her peers for qualities such as determination, professionalism, legal expertise, and achievement. Edith Pearce has made a name for herself in Pennsylvania’s legal community for her intelligence, proficiency with the law, and ethical conduct. As such, it’s no surprise that she’s made Philadelphia proud by being named a Pennsylvania Super Lawyer over half a dozen times now. The Pearce Law Firm will provide you with exactly what you want from an attorney: trust, knowledge, experience, and resolve.